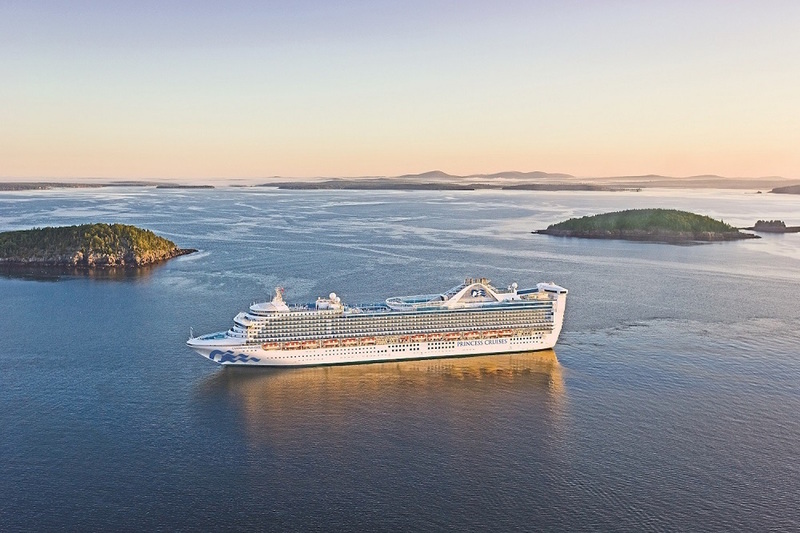 Princess Cruises has announced that the 3,200-guest Caribbean Princess will undergo a two-week refit from March 26 to April 6 while in dry dock at Freeport, Bahamas. The multi million pound renovations will include new and upgraded family features. On completion, Caribbean Princess will head to the UK, sailing the British Isles roundtrip from Southampton between May and September. In addition there will be new activities and games for children, including hands-on science experiments, mini golf tournaments, talent shows and LEGO boat-building competitions. The line will also be introducing interconnecting staterooms on Caribbean Princess, fitting 87 in total. Other additions are an upgraded top-deck ‘Movies Under the Stars’ giant screen and Princess Luxury Beds in every stateroom. Caribbean Princess will also be prepared for the Ocean Medallion technology, which will be available for the 2018 summer Caribbean season. The new technology will enable guests to order food and drinks to anywhere they are on the ship, provide interactive information about onboard activities and allow parents to locate where their children are onboard, as well as a host of other features. Prices for a 12-night British Isles sailing with an overnight stay in Dublin start from £1,399pp, departing Southampton on June 30, 2017. Calling at Guernsey, Cork (Cobh), Dublin, Belfast, Glasgow (Greenock), Invergordon, Edinburgh, Le Havre. Prices for a 7-night summer Caribbean cruise start from £848pp, sailing roundtrip from Ft. Lauderdale departing on July 28, 2018. Calling at Grand Cayman, Island of Roatan, Belize City, Island of Cozumel. Further information on enhancements, including food and beverage, will be announced over the coming weeks.